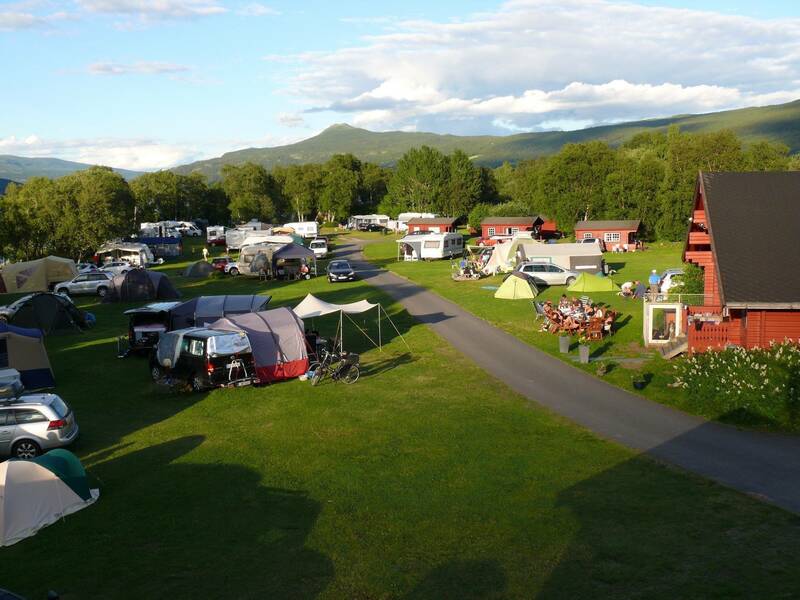 You are welcome in our traditional cabins with a beautiful view over the campsite, the lake og the mountains of nationalpark Jotunheimen. 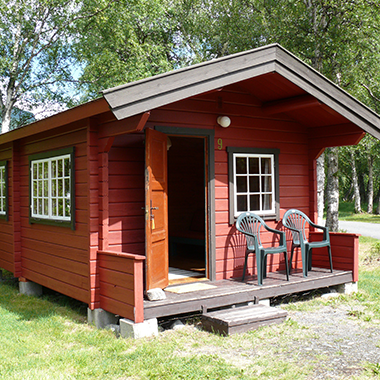 The traditional cabins are simply furnished with a refrigerator and cooking plates. 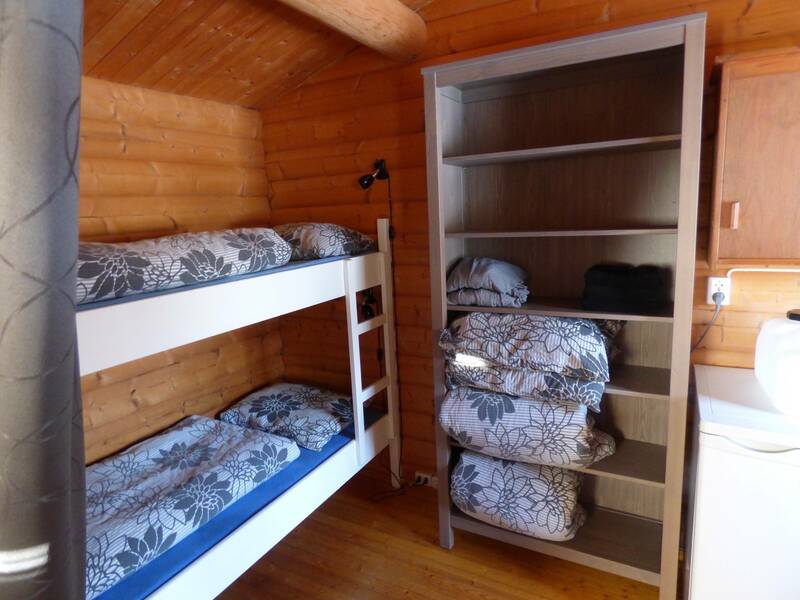 The 1 rooms cabins have a bunk bed (2 persons) and in the 2 rooms cabins you have the choise of cabin type A with a sofa bed and a double bed or type B with sofa bed and a bunk bed (4 persons). The cabins don't have running water, for that you have to use our newly renovated sanitary building. Bedclothes are for rent at the reception. The sanitary area is provided with a ladies area and a gentleman area. The showers are separated from the toilet area. Both shower areas are provided with 2 showers (10 crones for 4 minutes of hot water) and several washing accommodations with hot and cold water. There is a baby changing station. The sanitary building has a wheelchair accessible shower and toilet. The key to this facility is to be gained at the reception. The sanitary building is heated all year. On the other side of this building you will find a kitchen and a room with a washing machine and a dryer. The kitchen offers several ways to prepare your meals. There's a stove, an oven and a microwave.